Making the decision about what gift to buy for the couple getting married can be a challenge. It is becoming increasingly common for couples to ask for cash gifts, with little guidance for gifts from guests to give to the couple on their Big Day. Even if there is a list, you may not wish to mark the wedding with a new kettle or a mushroom brush. Here are some inspirational ideas for unique wedding gifts. If you have the time and the skill, make a gift. The couple will appreciate the time and the effort that you have put into making something unique for them. You may like to make a garden bench with room for two, a romantic gift for the summer days ahead. Creating a piece of art for someone else’s home isn’t always easy, but if you know your couple and their tastes and styles well, create a piece of art that you know they will love. Alternatively, buy a piece of art that can hang in the happy couple’s home forever. Choose a romantic piece that ties in with romance, love and the journey forward that the couple are embarking on. Canvas prints of a quote that has meaning for the couple such as “All of me loves all of you” or “You are my happily ever after”, personalised with the couples names and the date of their marriage will be a treasure from the day. Online sites are filled with talented designers who can create something unique and beautiful. 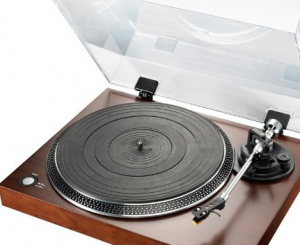 For the music loving couple, a vinyl record player is a fun gift. Add a few of the records you know they’ll love and you’ll gift them hours of fun in the future as they source out records for their collection. How to impress the newly weds with a gift that differs from the rest Making the decision about what gift to buy for the couple getting married can be a challenge. 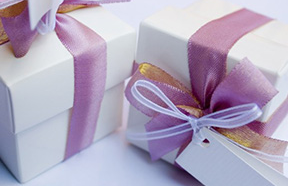 It is becoming increasingly common for couples to ask for cash gifts, with little guidance for gifts from guests to give to the couple on their Big Day. Even if there is a list, you may not wish to mark the wedding with a new kettle or a mushroom brush. Here are some inspirational ideas for unique wedding gifts. Gifts that keep on giving If your couple have space in their garden, a fruit tree is a beautifully symbolic gift that keeps on giving. How lovely to be picking apples from the garden on your 10th wedding anniversary? Another idea is a Polaroid camera. A fun and practical wedding present, a camera gives the couple an opportunity to document their honeymoon and their future life together. Being together If your couple has space in their home, you might want to invest in a piece of furniture for them. A love seat, with just enough room for two, has meaning as well as being easier to fit into a home. Used and loved for years, this piece may become a family heirloom.